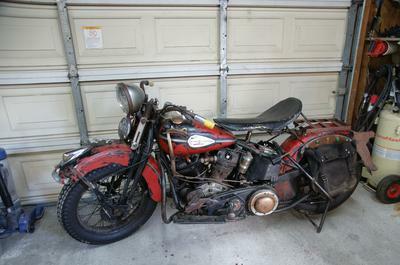 The old 1937 Harley Knucklehead Mongrel Motorcycle for sale is titled and running with matching cases, belly numbers 37-2315 and what appears to be OEM cylinders and heads. There are a few broken horizontal fins on the cylinder's left side. All lights are working. M-5 linkert, cloth wiring and reproduction ignition keys. I see no fixes to the transmission case or the engine/motor case. All tabs are present on the old motorcycle's frame with all the correct Hallmarks/Foundry marks. Left side car loop #YE-762E, Right loop #YE-761E. The bike has the 1937 gas tanks (individual petcocks) with 1940 emblems glued on. 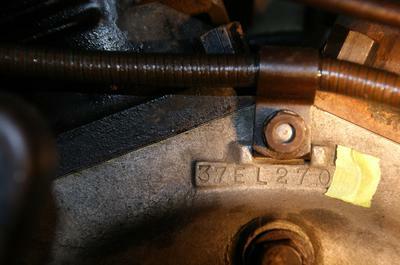 Appears to be a 1937 motor in a later year frame and transmission. The fenders are large strap, three (3) piece fenders. This is a nice little knucklehead, with an attainable, affordable price. 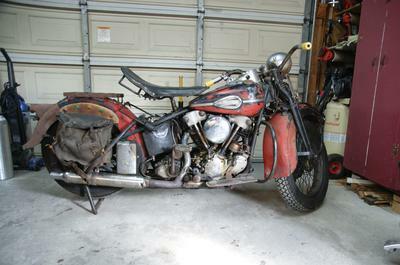 and you will appreciate the price on this nice old Knucklehead. 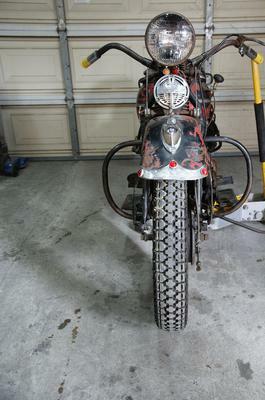 It's very rare that you find an old Harley that is priced in such a way that it is actually attainable. The Knuck is in San Diego, Ca California and I am waiting on your questions, comments and requests via the contact form provided byGoGoCycles Used Motorcycles for Sale.